Grab the list to make packing lunches easy! You get 45 healthy lunch ideas to pack for your kid's lunches! 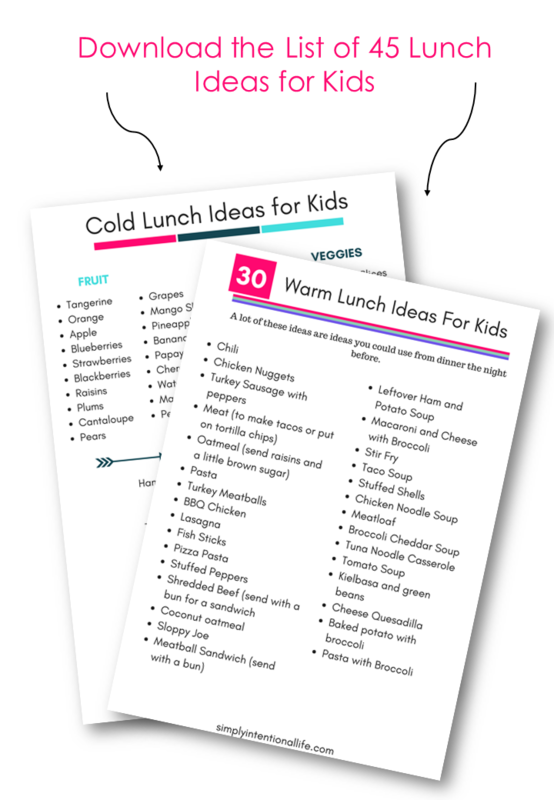 Grab the lists and keep them close when you are planning meals for your family.